Get the lowdown on Casilando Casino with Casino Veteran’s review. Some say he can hear a roulette wheel spin from a thousand yards, others that he can deal a deck of cards with just his toes. He is the Casino Veteran and he thought it was high time that he checked out what Casilando Casino had to offer. Casilando have a variety of slots, plus plenty of table games. TheCasilando casino is working with leading gaming providers, including NetEnt, Microgaming and NYX, to provide customers with a top-quality gaming environment. They have added a small, but hopefully growing, range of live dealer options, including different versions of roulette and poker as well as live blackjack and baccarat. Casilando Casino is regulated by the UK Gambling Commission and committed to providing a safe and secure environment for its customers. Customer support is available by both email and live chat, 24 hours a day, and terms and conditions are clearly laid out on the website for customers to review at their leisure. 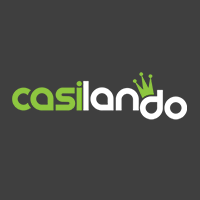 Casilando accounts can be funded with GBP, euros, dollars or kroner, and deposits and withdrawals can be made in various ways including Visa, MasterCard, paysafecard, Giropay, Sofort, Skrill and NETELLER. The Casino Veteran found Casilando to have a nice range of games, an easy-to-navigate interface and a user-friendly website. Casilando casino is dedicated to providing a high-quality mobile experience for their customers. Their software is advanced and highly intuitive, providing one of the easiest mobile gaming platforms the Casino Veteran has experienced. Most of the games available at the main Casilando website can be easily accessed via mobile as well, including all the popular slots and various table games. There is even an option to join live dealer games via mobile. As you might expect from a casino that launched fairly recently in 2017, the whole Casilando Casino experience has been well optimised for mobile. 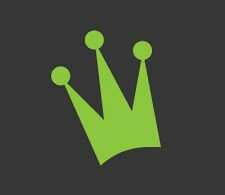 Casilando online casino is currently offering a generous welcome bonus for all new customers. You will receive a 150% matched welcome bonus of up to £/$/€100 on your first deposit, plus 50 free spins, available to use on selected games over your first 10 days of playing with Casilando. There are also some fun bonuses and promotions available for regular players. Casilando casino offers a loyalty scheme that allows you to collect points and cash them in for real bonuses, as well as a Refer A Friend scheme, which lets existing customers to collect a £/$/€10 bonus for every new customer they refer. In addition, there is currently an ongoing 50% deposit bonus on new deposits of up to £/$/€250, which comes into effect every Thursday! 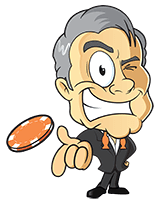 The Casino Veteran paid a visit to the Casilando online casino for an evening to check out exactly what they have to offer. He quickly made an account, funded it and claimed his deposit bonus and free spins. He then had a browse through the available games and was pleased to find a wide range of slots as well as some great table games and several live dealer games. He checked out the slots available and found many of his favourites were there with some fun themes. He played some Romanov Riches and some Polter Heist. Then he moved on to try some blackjack and some poker and was happy to find several different versions, including Deuces Wild and Texas Hold ‘Em Switch. The Casino Veteran found betting limits on some games to be low, with a maximum bet of £5, but overall, he had a great evening and even won some money. He will be visiting Casilando again soon.